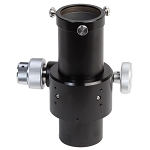 The Explore Scientific 8x50 Erect Image Straight-Through Illuminated Finderscope produce images that are right-side-up and left-to-right corrected views, which makes it easier to find objects in the sky. 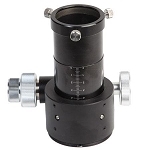 With its scale markings and open center, not only helps you center objects precisely, but gives a reference of the exact field of view in degrees. The deep red illumination can be adjusted to just the right brightness. 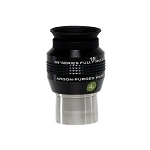 The eyepiece has comfortable eye relief and produces a 6deg. field of view. 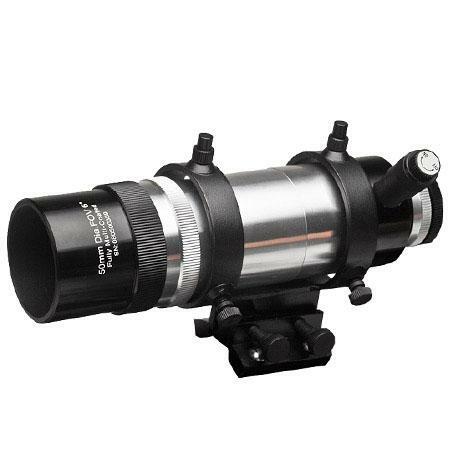 Both the eyepiece and the main objective can be focused independently so that you can obtain perfect focus for your eyes. Note: included the NEW FNDRILLUM-02. This long-life illuminator now allows the use of easy to find AAA batteries. 2-AAA batteries required. Batteries not included. 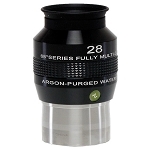 Excellent product and quality workmanship with superb optics. 8x50 provides excellent wide field. Illuminated (adjustable intensity) sight is nice touch. Purchased to completed Explore Scientific ED 80 APO set up. Very happy customer.